PI042. 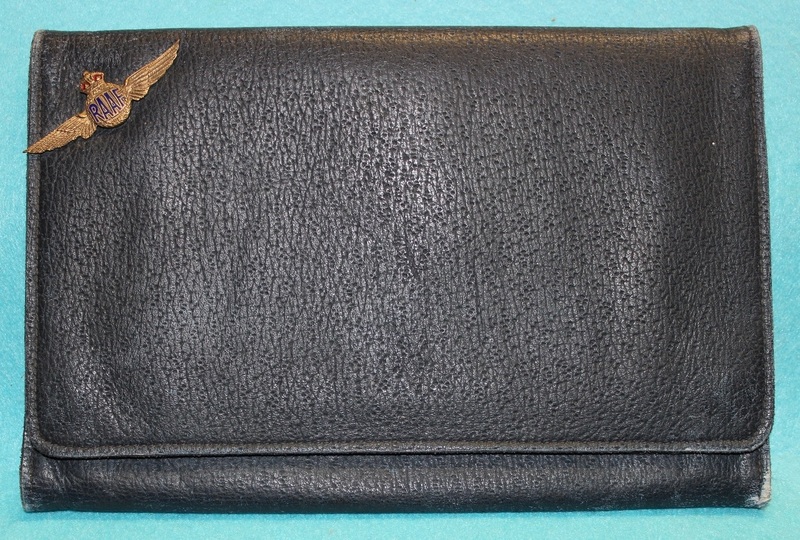 A black leather pouch containing 2 brushes with gold and enamel wings attached, plus a comb. PI045. 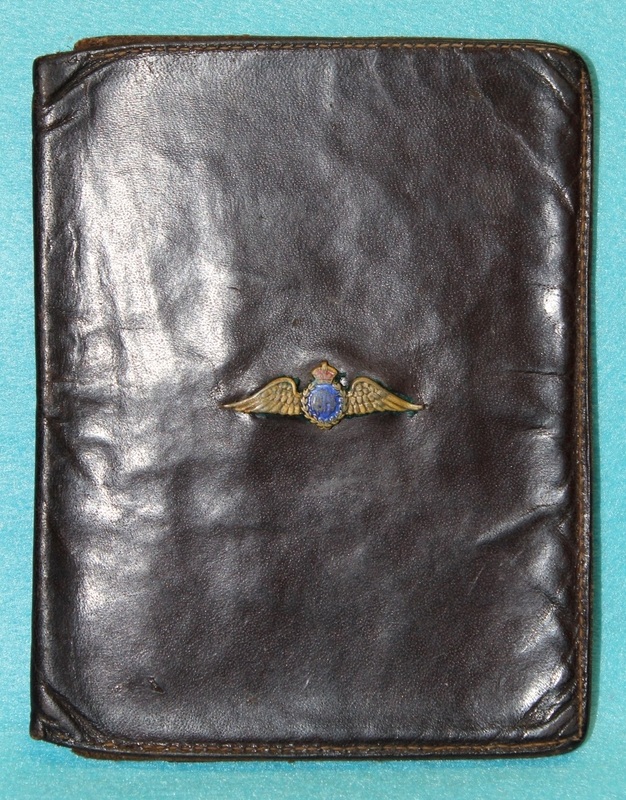 A small blue compendium with a large gilt and enamel wings badge attached. It has compartments for a notepad, envelopes, stamps and pen, etc. PI105. 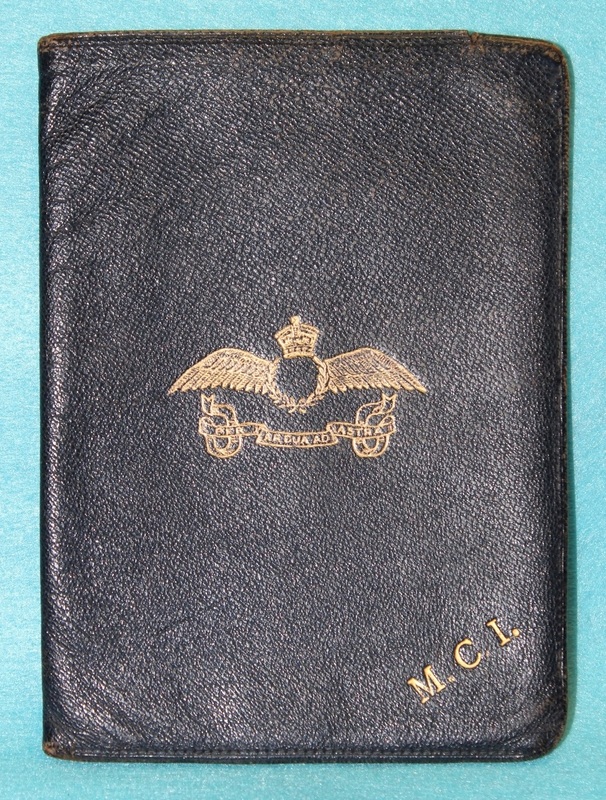 A small black leather wallet with gilt and enamel pilots badge attached and pencil. PI106. 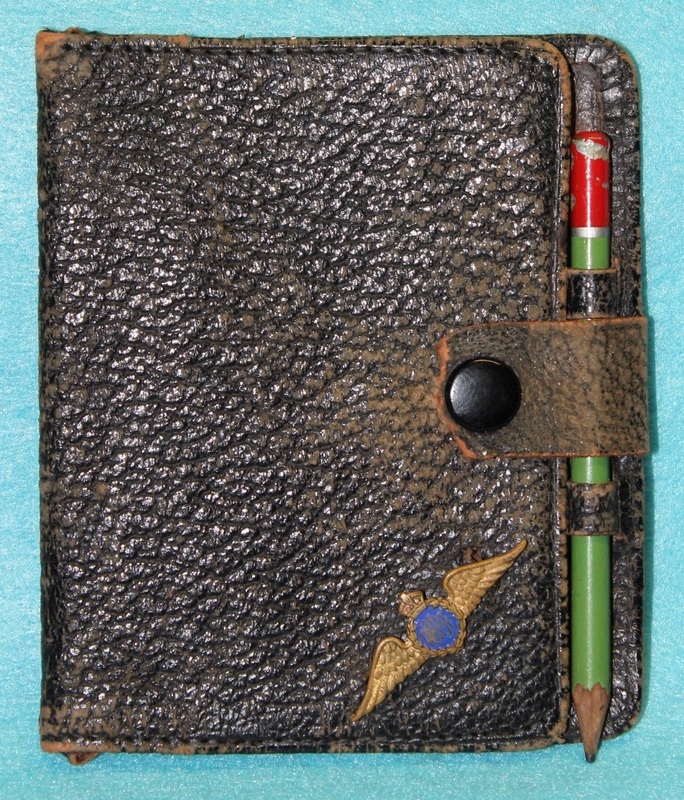 A small black leather wallet with gilt and enamel pilots badge attached and pencil. PI159. 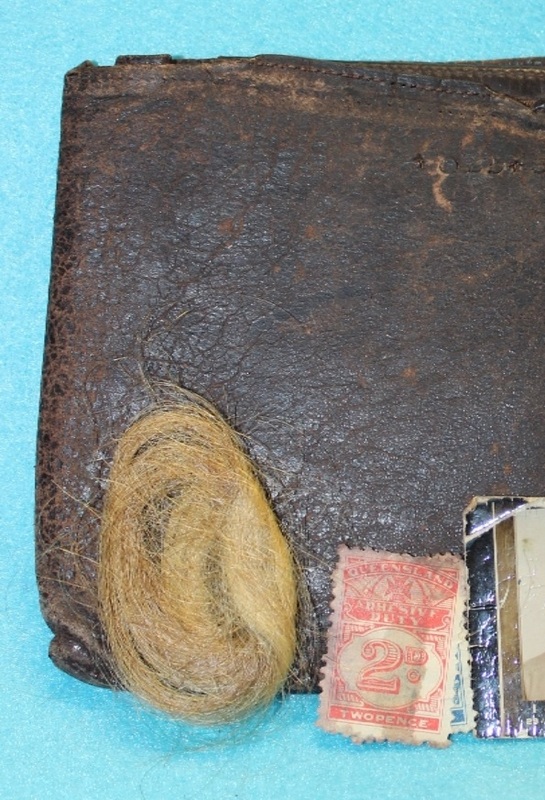 A brown leather wallet containing an ID photo of 402545 Russell Jackson, a train ticket from Cloncurry and a lock of blonde hair. Russell enlisted on 16 Sep 1940 at Sydney and discharged on 11 Feb 1946 from AD HQ Sydney with the rank of Leading Aircraftman. PI176. 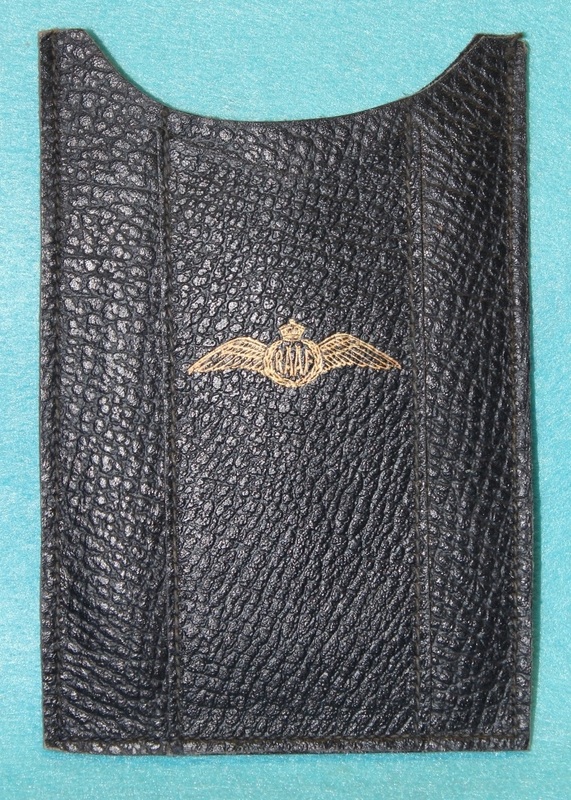 A blue leather wallet with a gold embossed pilots badge, inside is a steel shaving or signalling mirror. PI178. 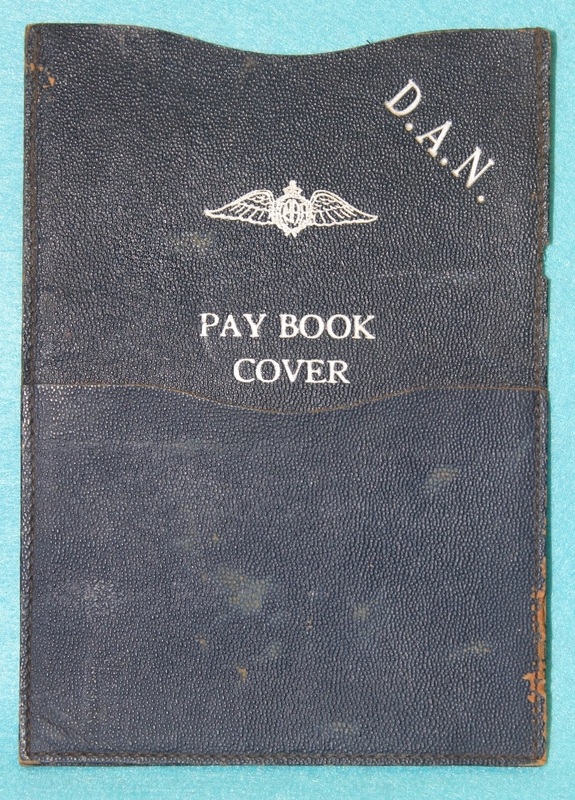 A black leather wallet with the letter D.A.N, pilots badge and Pay Book Cover embossed in silver. PI192. 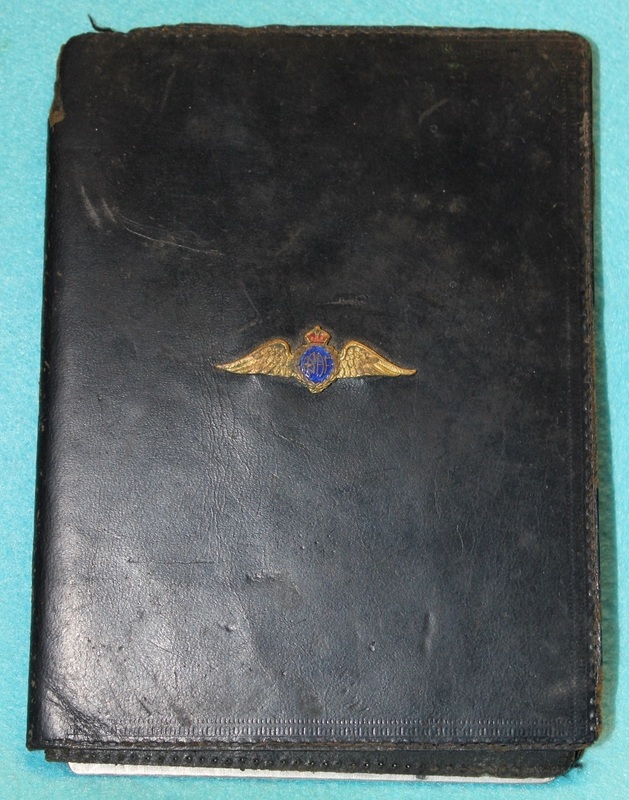 A blue leather wallet with gilt and enamel pilots wing badge attached. Inside is a steel shaving of signalling mirror and notebook. PI210. 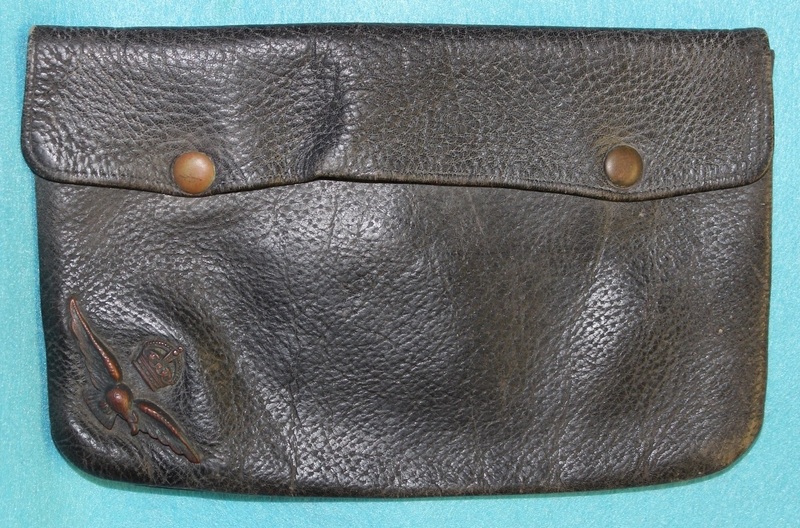 A large black leather wallet with an oxidised officer’s cap or sleeve badge attached. PI222. 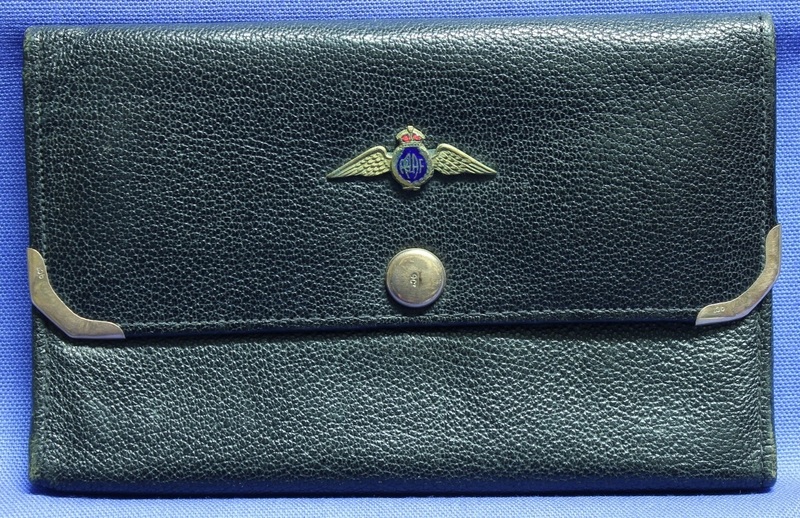 A blue leather wallet with a gilt and enamel pilots badge attached. PI246. 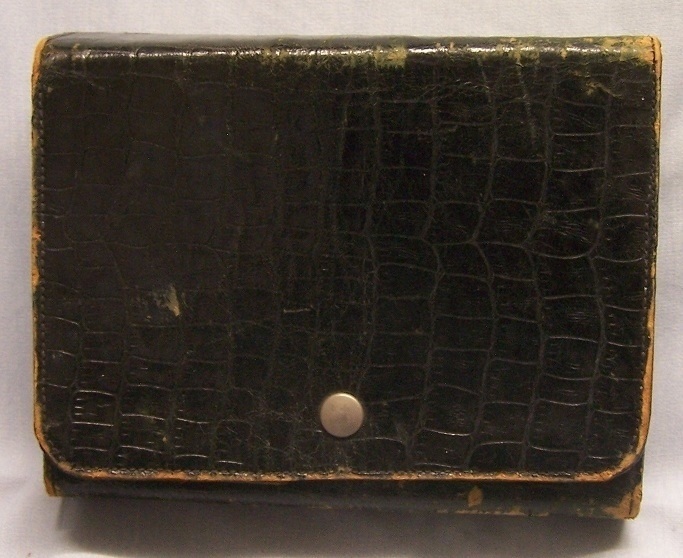 A black leather wallet with gilt and enamel badge attached, containing a steel mirror marked Paul Scrimgeour. PI246. 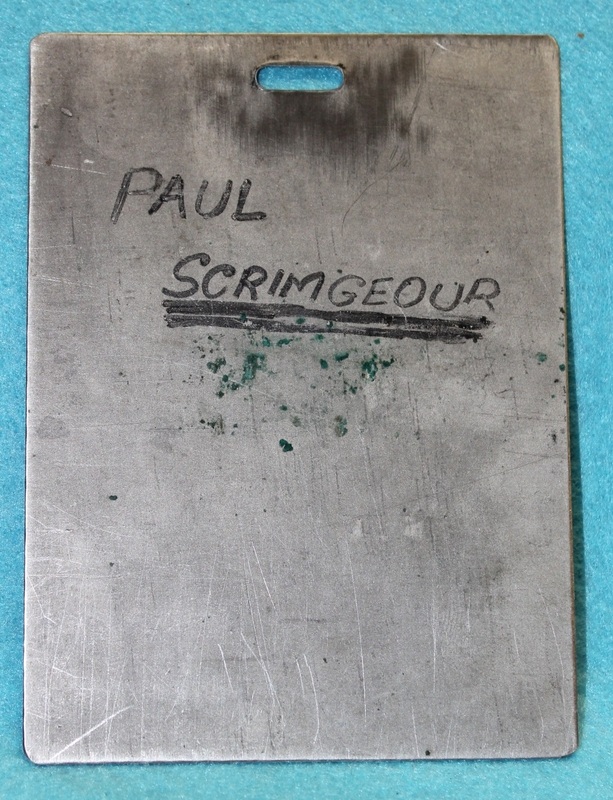 Steel mirror marked Paul Scrimgeour. PI253. 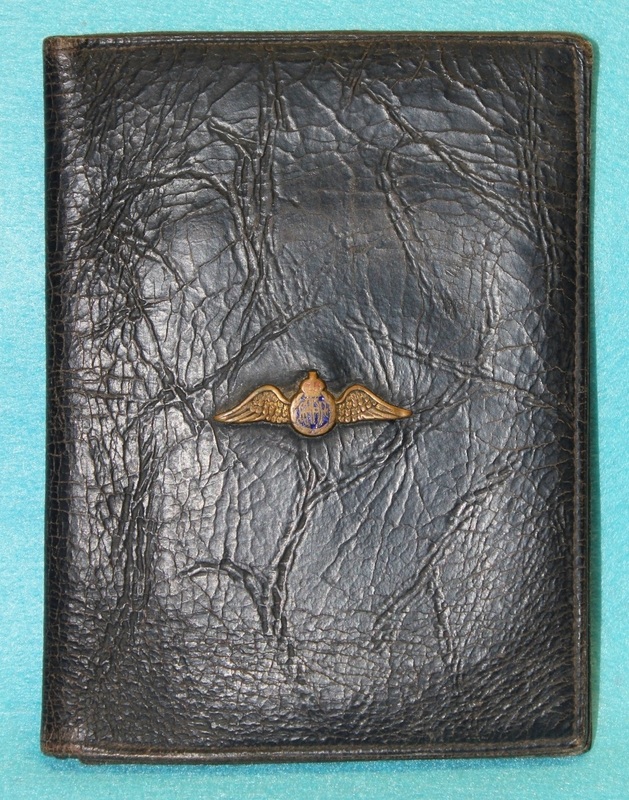 A small blue leather compendium with silver embossed wings with compartments for a notepad, envelopes, stamps and pen, etc. plus a 1943 calendar and a partially written letter to Mum, from 120210 John William Dugan dated 17/11/1944. John enlisted on 29 Oct 1942 at Melbourne and discharged on 30 Jan 1946 from 7 Operational Training Unit with the rank of Leading Aircraftman. PI253. 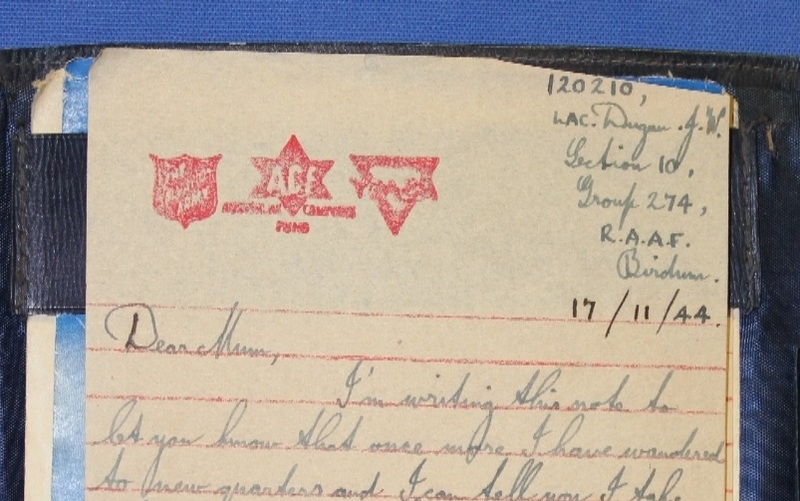 A partially written letter to Mum, from 120210 John William Dugan dated 17/11/1944. PI266. 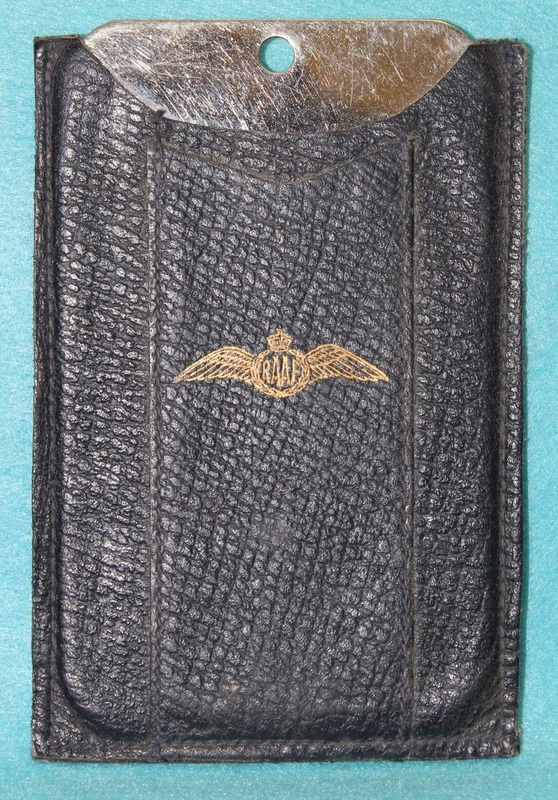 A brown leather wallet with a gilt and enamel pilots badge attached. PI273. 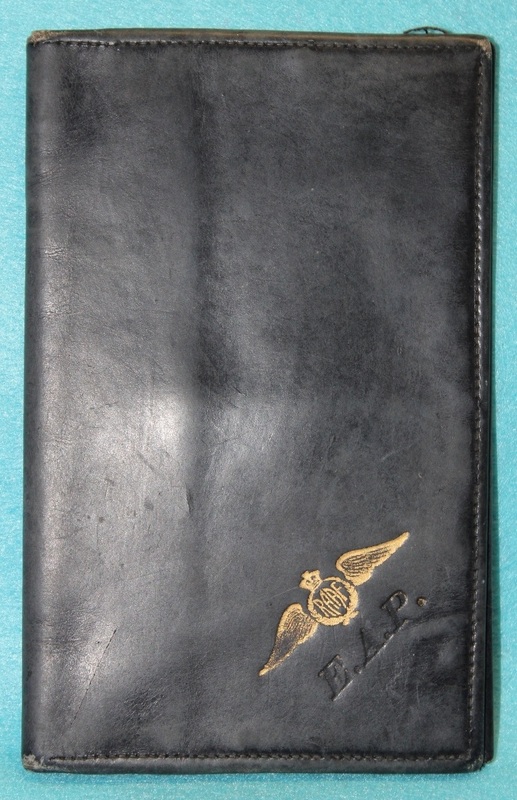 A black leather wallet with gold embossed pilots badge and the letters E. A. P. inside are slots for banknotes, stamps, cards and cheques. PI305. 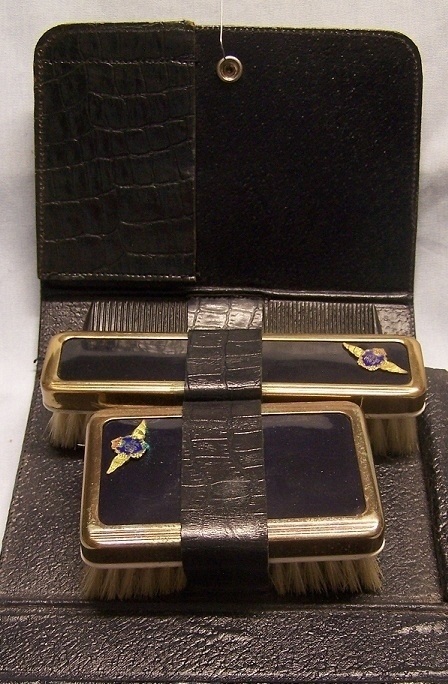 A blue leather wallet with a gold embossed pilots badge, there is a compartment for a shaving mirror. PI359. 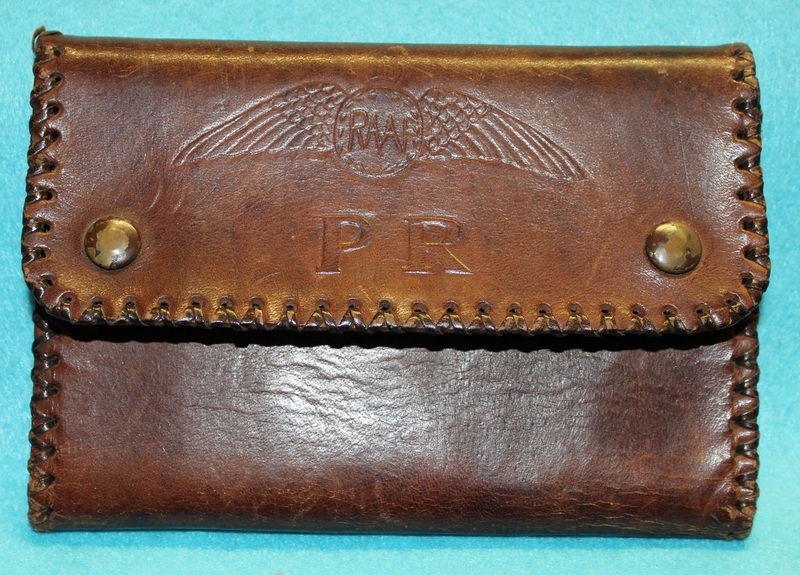 A brown leather wallet with laced edges and embossed with a pilots badge and P. R. Inside is written P Robertson, there were 5 P Robertsons in the RAAF during WW2. PI359. 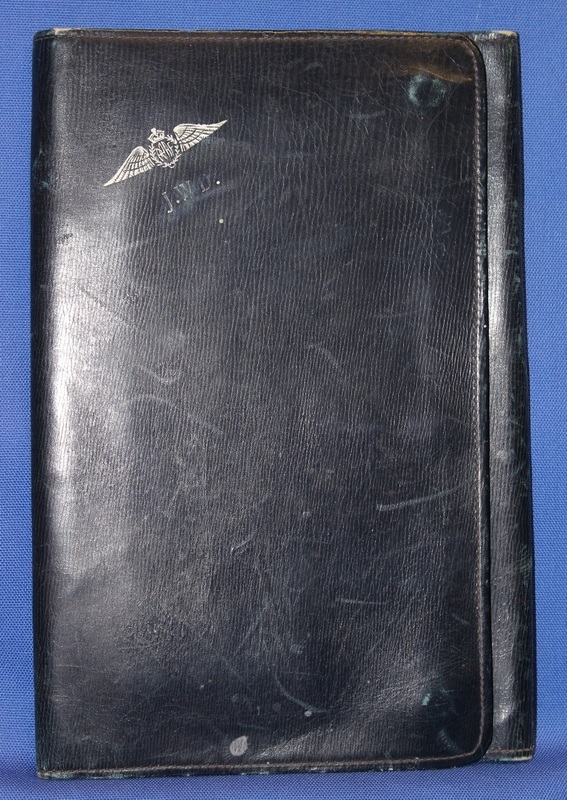 Written inside is P Robertson, there were 5 P Robertsons in the RAAF during WW2.